A sumptuous array of beautiful materials combine to make up this impressive French table cabinet, perfect for a stylish and glamorous dressing table. 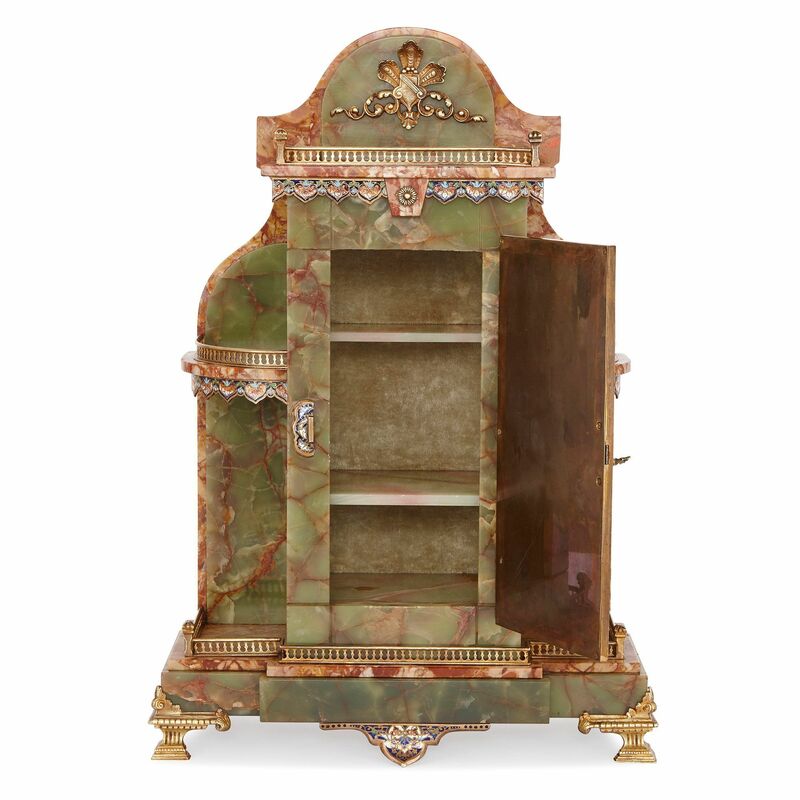 This early 20th Century cabinet has a timeless elegance, thanks to its adept combination of materials. 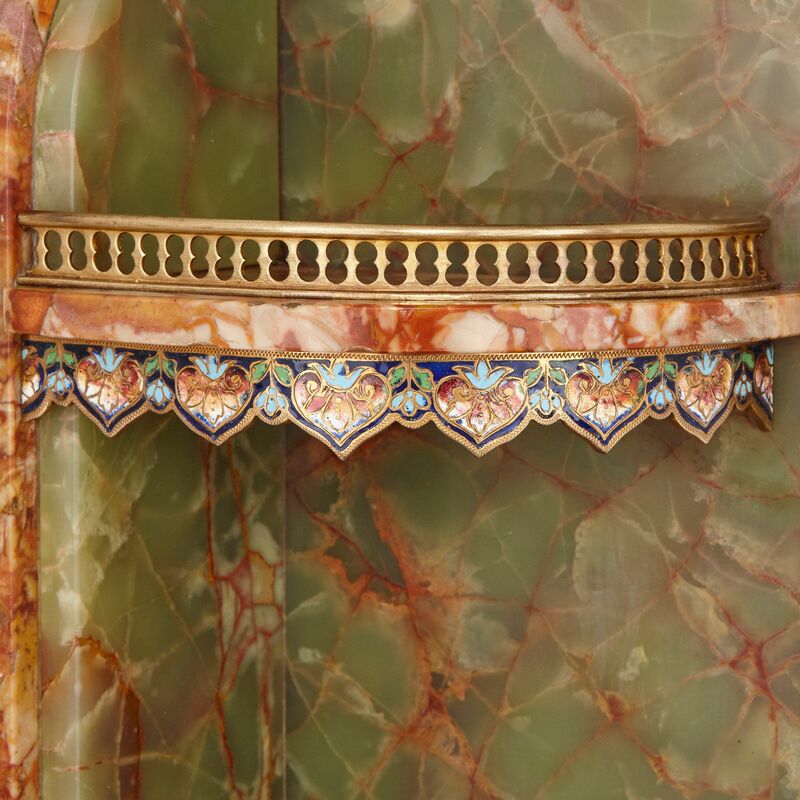 The veined green onyx wonderfully contrasts with its pink veined marble backing, which in turn complements the glittering ormolu; all further enhanced with intricate champleve enamel detailing. 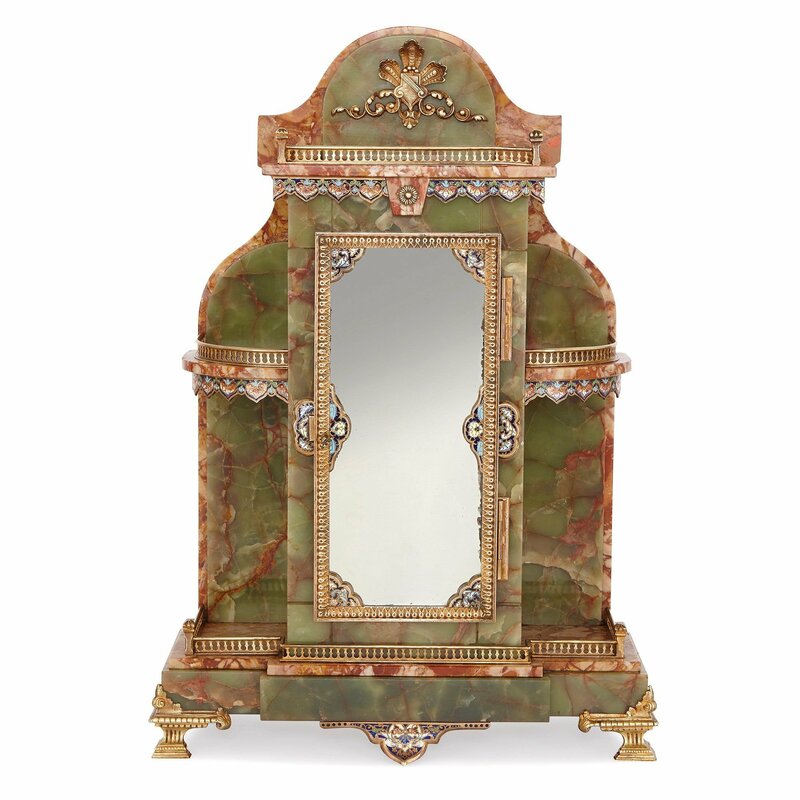 The cabinet is formed as three levels of galleries, each with an ormolu balustrade on marble flooring, and centered with a mirror-fronted door. 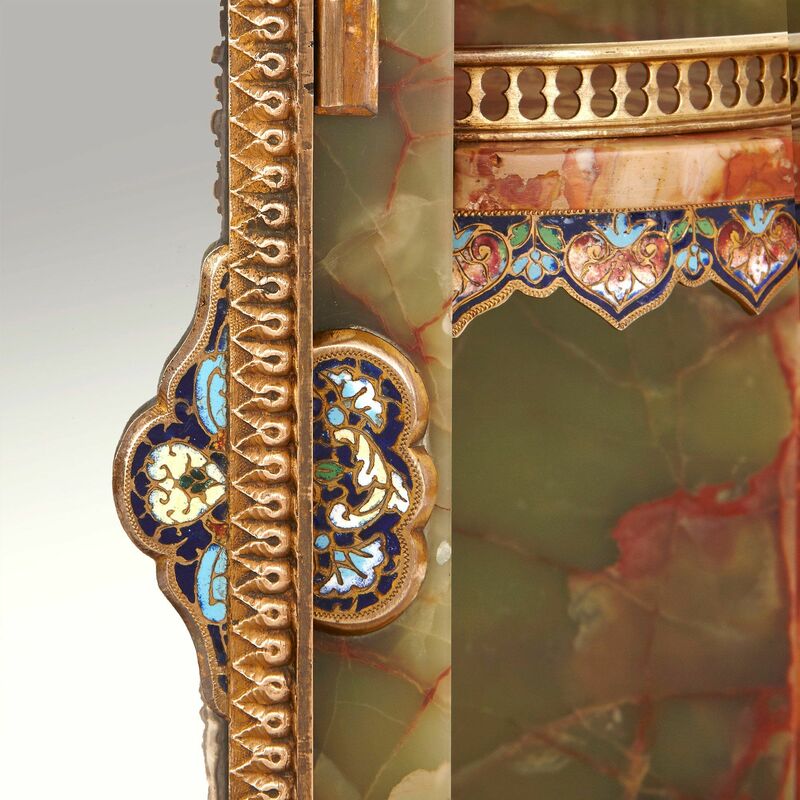 Both the middle and upper galleries, together with the door, feature intricate champleve enamel detailing in the form of foliate patterns in red, blue and green. 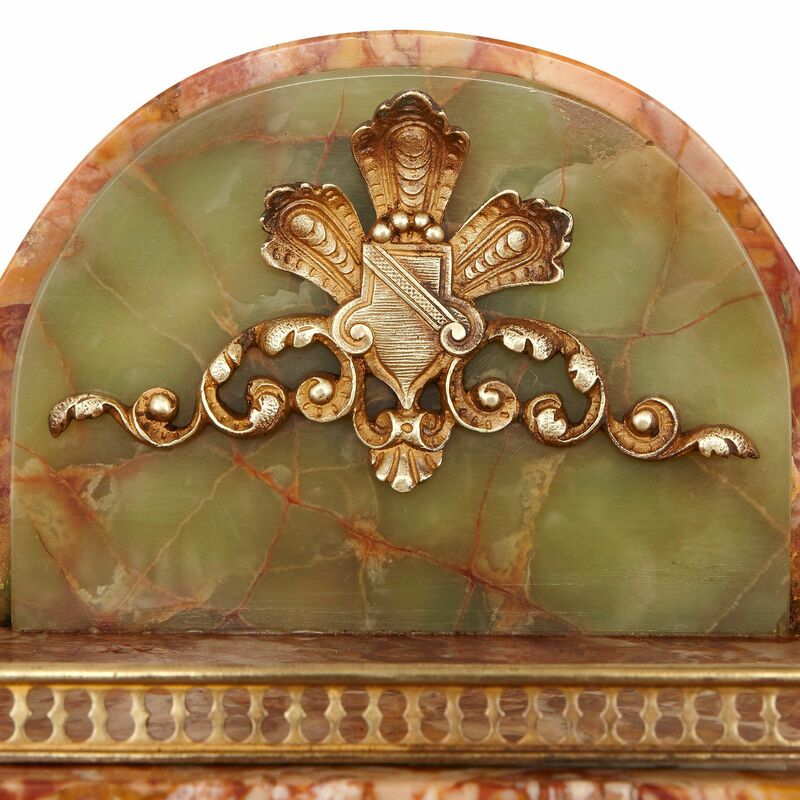 There is a further ormolu mount on the top of the pediment which takes the form of scrolling foliage. 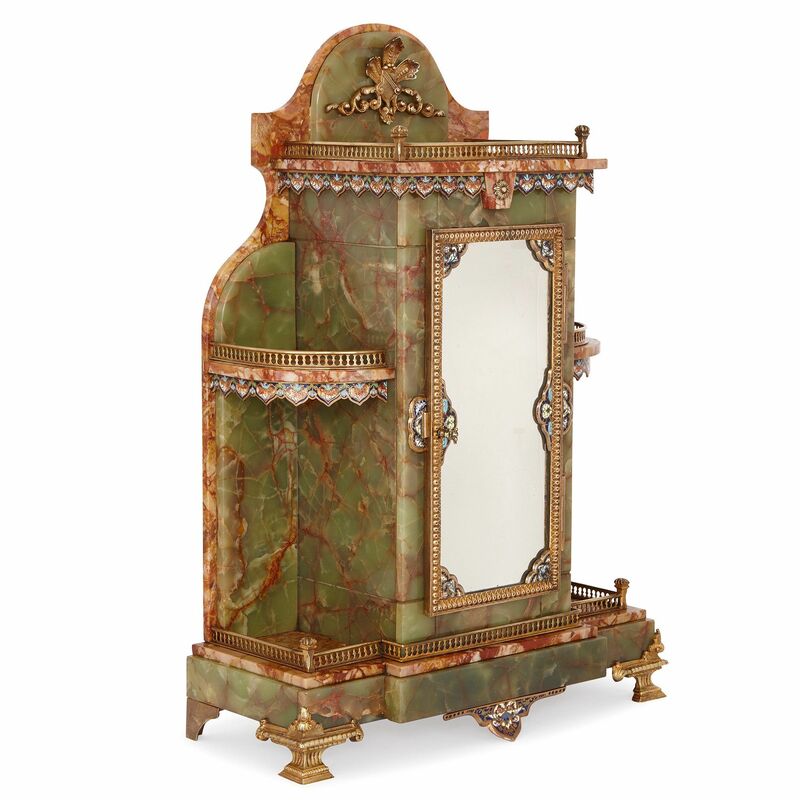 The mirrored door opens to reveal an interior of green onyx with two shelves.